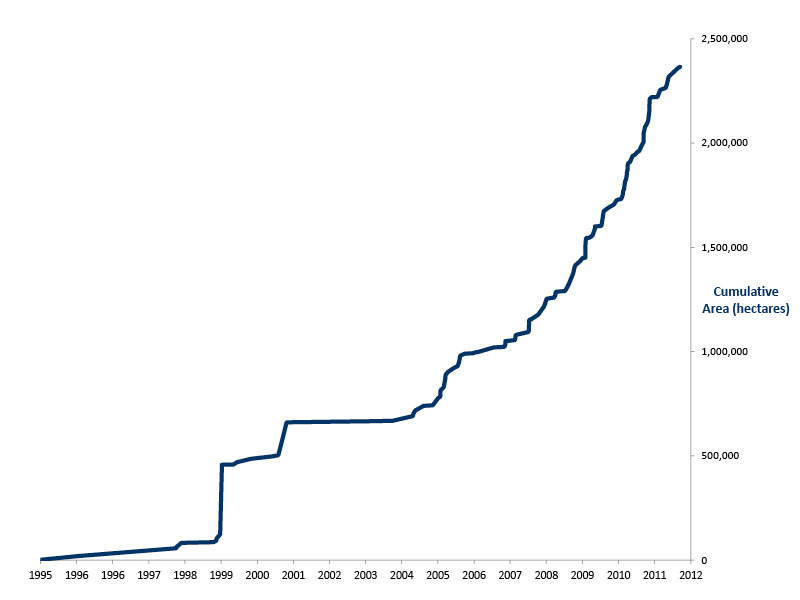 In many countries, the accelerated clearing of forests for agricultural purposes has resulted in the rapid growth of so-called “conversion timber” in recent years. Cambodia is no execption. The main source of wood harvested in Cambodia since mid-2004 consists of “conversion timber” from forest lands allocated to large-scale agri-industrial plantations, and illegally harvested timber from adjacent lands. The full significance and impact of these developments is not adequately acknowledged and addressed by the government and development partners, and there is increasing concern that the environmental service and biodiversity values of forest lands are in rapid decline and that public interest values are not adequately considered by decision makers and their development partners. To ensure balanced national and sub-national land-use planning, the relevant legal, policy, and institutional frameworks need to be improved and revised, particularly if the government’s National Forest Program and any proposed FLEGT and REDD+ programs are to be effective. 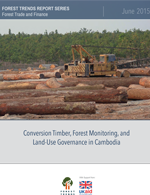 This report presents an overview of national patterns and practices of forest land clearance during the 2012-2013 dry season as a basis for discussing challenges for FLEGT and REDD+ in Cambodia posed by land conversion and conversion timber. 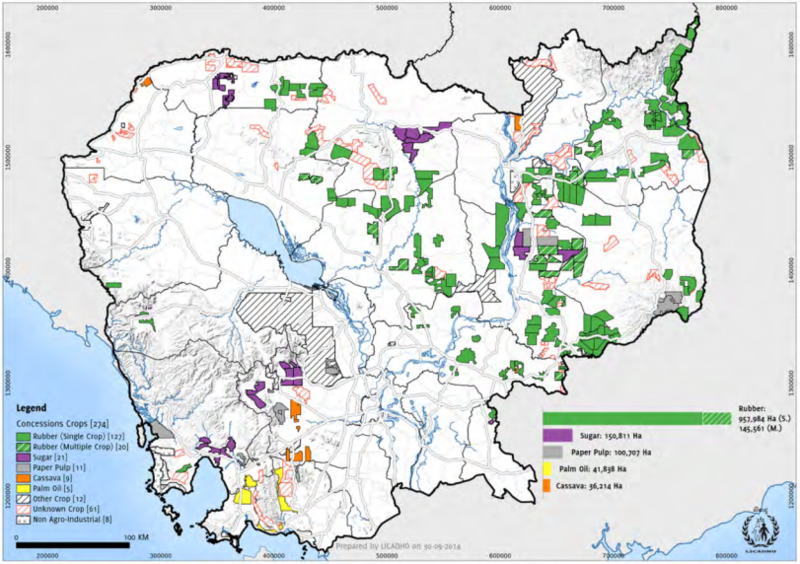 The report maps and describes the geography of forest land allocations in relation to the major forest formations, land concessions, protected areas, the national forest estate, and the reported concession ownership.